Der Artikel Jose Antonio Escobar - Guitar Music of Chile wurde in den Warenkorb gelegt. 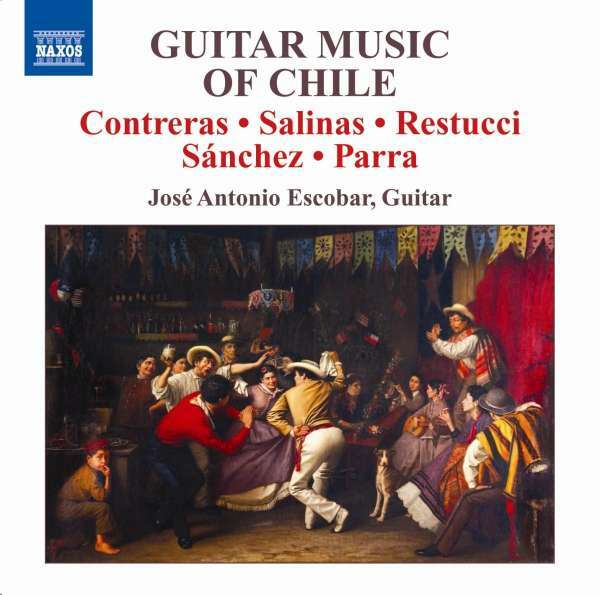 A new generation of Chilean composers, influenced by national folkloric traditions and the best of contemporary music, is featured in a programme of varied styles, rhythms and concepts. 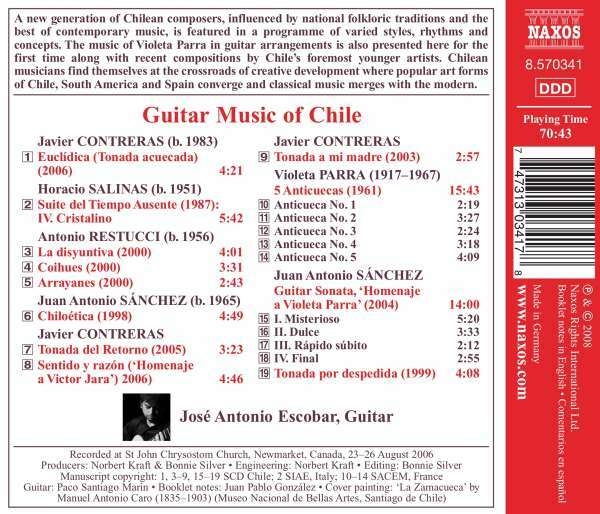 The music of Violeta Parra in guitar arrangements is also presented here for the first time along with recent compositions by Chile's foremost younger artists. Chilean musicians find themselves at the crossroads of creative development where popular art forms of Chile, South America and Spain converge and classical music merges with the modern. Hörprobe Track 1: Euclidica, "Tonada acuecada"
Jose Antonio Escobar: Euclidica, "Tonada acuecada"
Hörprobe Track 8: Sentido y razon, "Homenaje a Victor Jara"
Jose Antonio Escobar: Sentido y razon, "Homenaje a Victor Jara"